One of my favorite items is made from hosta leaves growing in our yard. 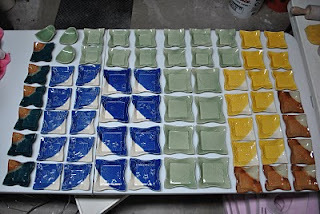 Usually, I just glaze the leaves -- celadon, clear, amber tyler, and goldenrod. 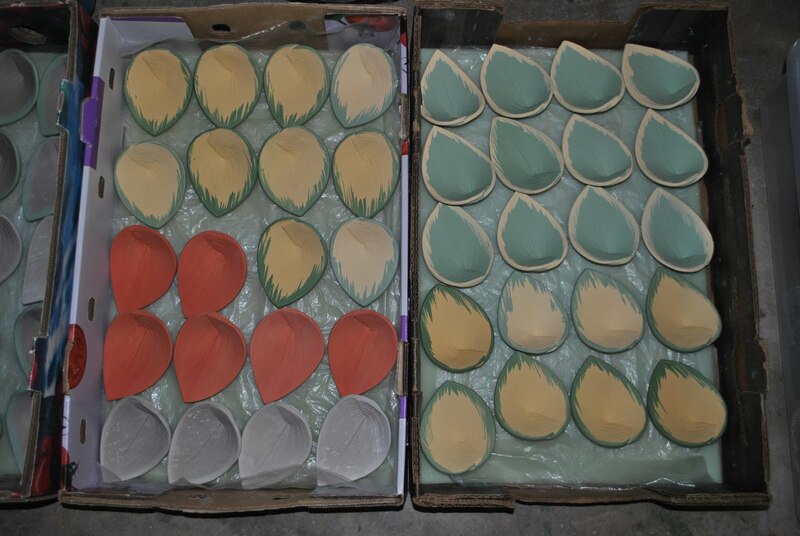 These represent a change in approach -- using colored slips and underglazes to add more interest (I hope) and color. Because these are made using real leaves as the pattern/texture, they are quite seasonal -- so I make a large group at a sitting. Okay, for this week, a large group was about 100. Lots of fairs and events coming up and one needs to be prepared. 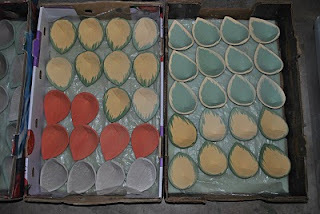 These are in drying stage; then on to bisque firing and glazing. Then, to a local craft fair near you! Just finished unloading a kilnful of small trays. Very pleased with the glaze results -- especially the combination of Bill Vangilder Teal and Robert Busch Nutmeg and the combination of Nutmeg and Bill Vangilder Rust. Some of these will be headed to the Bluemont Fair this weekend -- a terrific family fair with lots to do and see for kids of all ages. 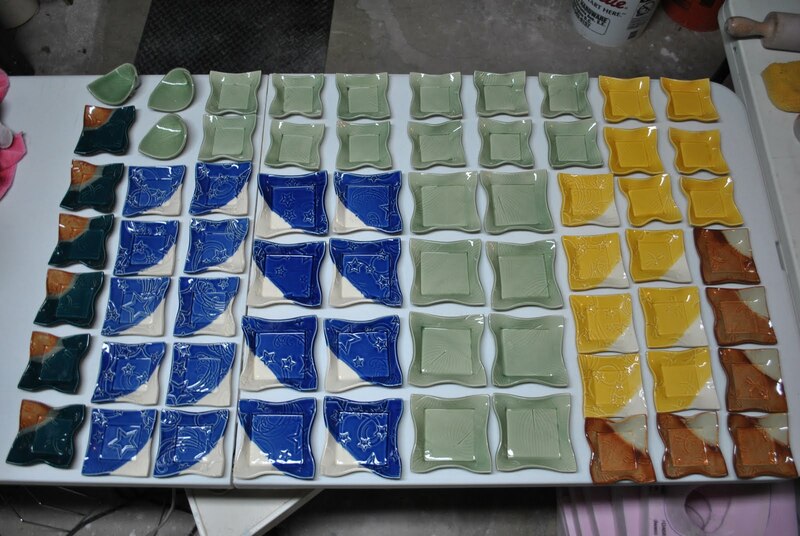 More -- including a larger tray -- are waxed and awaiting glaze and firing.